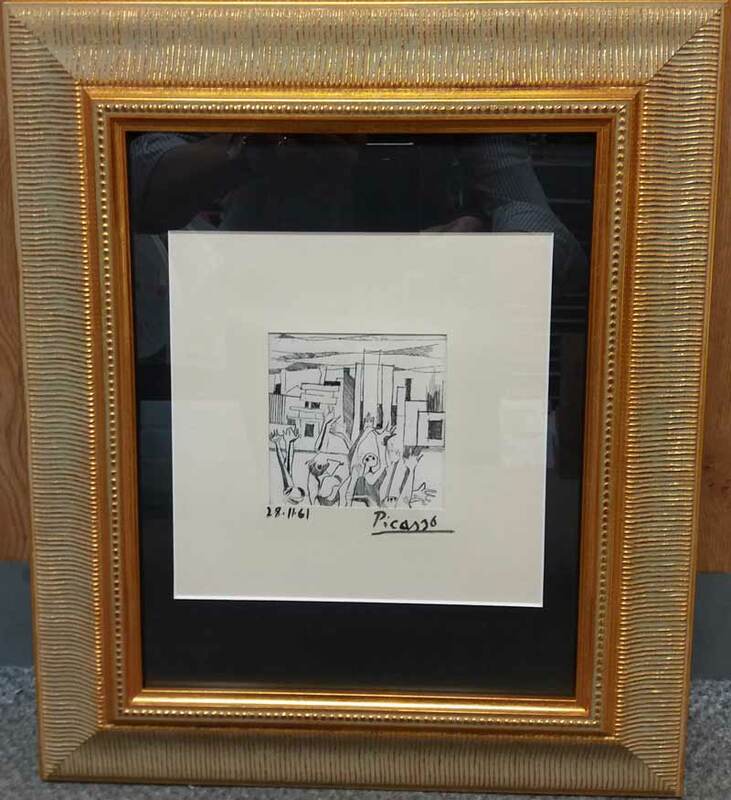 Framing Picasso's Drawings & Paintings? Gadsbys Leicester may just have done so. Framing Picasso’s Drawings & Paintings? You are here: Home / Blog / Picture Framing / Framing Picasso’s Drawings & Paintings? 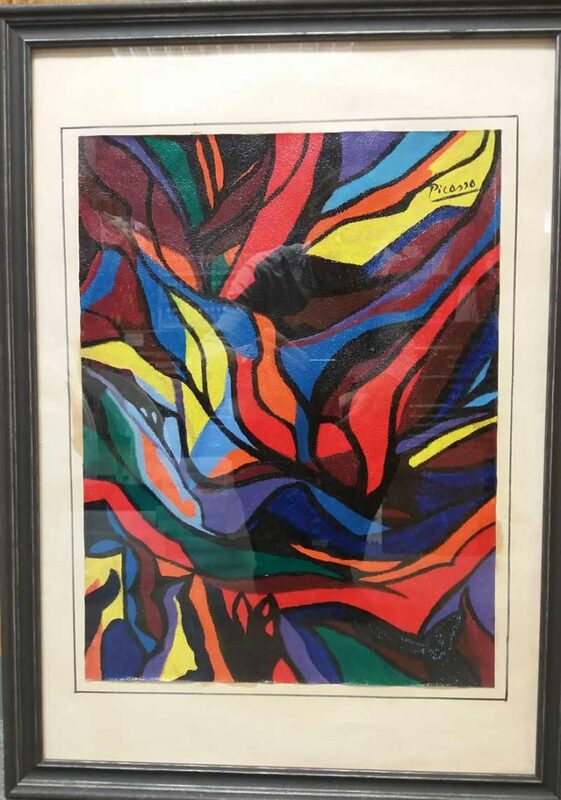 It isn’t everyone who gets to see and touch a painting or drawing from one of the greatest painters of all time but maybe the framing team at Gadsbys have done so? The two pictures shown here were brought in for framing recently – both of them have been signed “Picasso”. They are the latest of a number of paintings and drawings Gadsbys have framed for this client. The Gadsbys team were told that the artist was a friend of the family and that he gave them a number of pictures over the years. The same processes and care are used whether the item being framed is possibly a masterpiece or definitely not one! Why not bring your picture in for the Gabsbys touch.